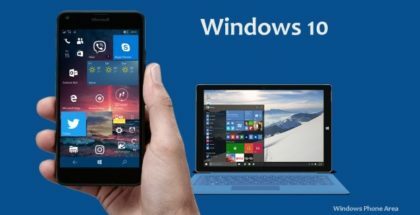 Joe Belfiore revealed on Twitter that Windows 10 for mobile devices (smartphones and small tablets) will support natively the FLAC audio format. ‘Free Lossless Audio Codec’ is a popular audio file format offering around 50% compression of the original tracks without losing audio quality. 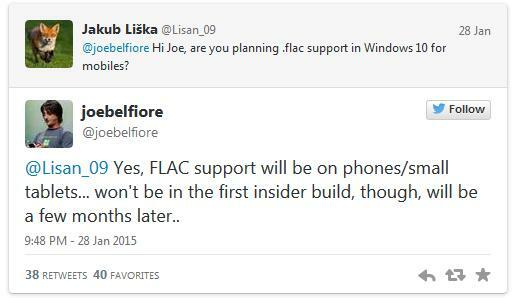 According to Microsoft, FLAC support will be coming to Windows 10 a few months after the first pre-release build expected in February 2015. Android has been supporting FLAC since 2011 with an OS version called Honeycomb. At the same time iOS doesn’t support this format natively, as Apple emphasizes on its own ALAC format. 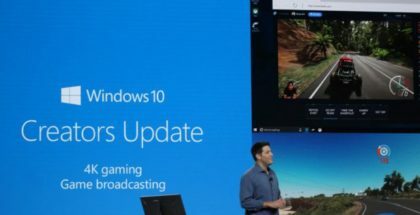 Windows 10 for PCs will also support MKV video, but we don’t know if MKV support will arrive to the smartphones. 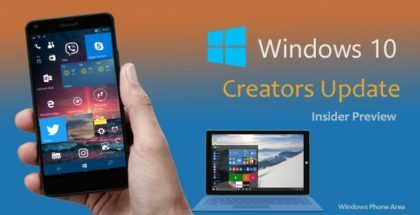 Given the huge popularity of both file formats, natively supporting MKV and FLAC will be warm-welcomed by the Windows community. We hope that MKV will be included in the mobile version of the platform too.